Have you been looking for a place to buy small or large quantities of 7-Benzyloxy-4-chloro-6-methoxyquinazoline (162364-72-9)? There is no need to look anymore. We at APICMO have an answer for you. 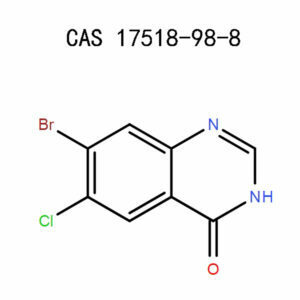 We have the expertise to synthesize and manufacture 7-Benzyloxy-4-chloro-6-methoxyquinazoline in small and large quantities. Our products satisfy the regulatory requirements of CGMP. 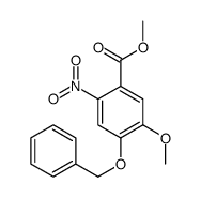 7-Benzyloxy-4-chloro-6-methoxyquinazoline is a product under the category of Quinazolines. The relationship between depending on the capacity of phosphodiesterase10A (PDE 10A) inhibitor PQ-10, comprising of 32 elements to determine the affinity of molecular configurations and their properties. We tested their functions which could be positron of tomography (PET) ligands, how they could prevent PDE 10A as well as other PDEs. We also performed their durability in vitro. The findings showed that quinazoline’s second part or alkyloxy in 60r 7 affects both the chemicals and their PDE10A choice. 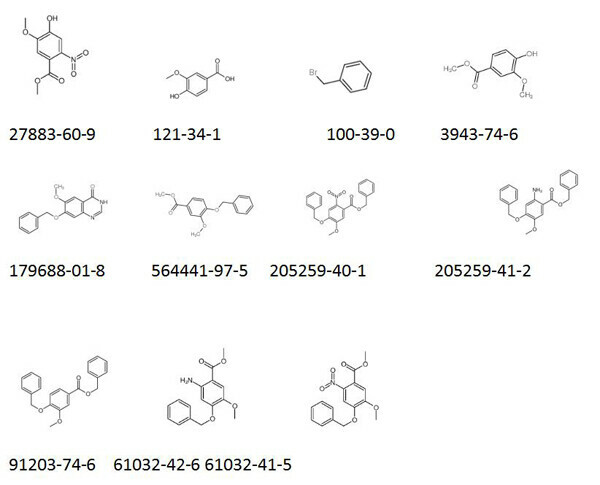 There is an increase in the selection of PDE10A by PDE3Aas a result of introducing methoxy group for molecules or quinazoline’ssixth stage molecules. In the substitution of 6, 7-difluoride in its area of quinoxaline, we found similar conclusions. 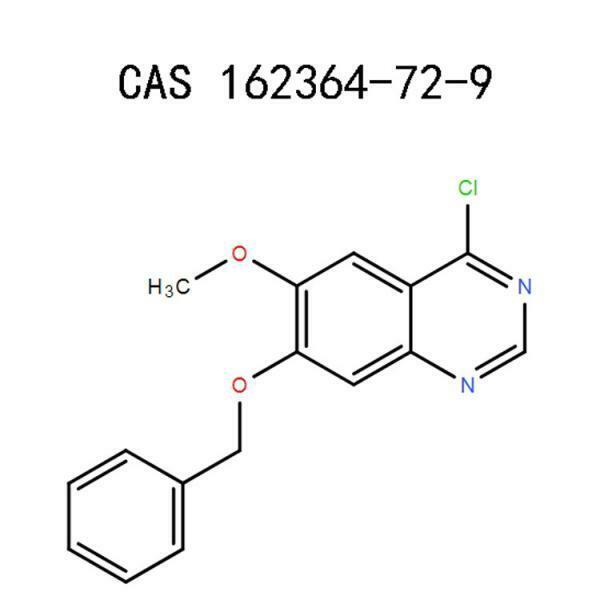 Finally, the highest prevention prospective has been shown by the fluorinated(R) -7- (fluoromethoxy) -6-methoxy-4- (3- (quinoxalin-2-yloxy) pyrrolidine-1-yl) quinazoline (16 a), 19 ad, (R) – tert -butyl-3- (6-fluoroquinoxalin-2-yloxy) pyrrolidine-1-carboxylate (29), 35 (IC50 PDE10A 11-65 nM). 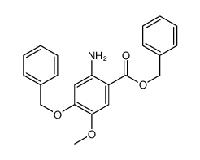 Because of PQ-10, the metabolism stability improved by conversion of fluoloethoxy to 7% of quinazolines. In health improvement, we have recognized PDE10A as constructive18F vaccine development purposes for positron emission tomography. 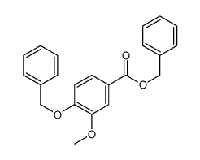 With the aid of QSAR researches, we have developed dental fluorinateddialkoxybiarylfibers and examined them as inhibitors of PDE10A. The 7-fluoromethoxy mixture is seen as an alternative for continual development. 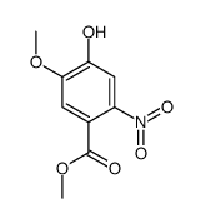 7-Benzyloxy-4-chloro-6-methoxyquinazoline is useful in product synthesis, development,and research. It is useful in the development of vaccines. 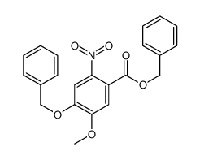 7-Benzyloxy-4-chloro-6-methoxyquinazolinemight be hazardous to your health if you mishandled it. You should therefore treat the chemical cautiously to prevent exposing yourself to some risks associated with it. The substance is hazardous if swallowed. Ensure you put on protective clothing that covers your entire body. Cover your hands with protective gloves. Protect your eyes with safety goggles. Wear face shields to protect your face. Respiratory protections such as approved respirators should be ready for emergencies. Ensure the respiratory protective equipment have particle filters. Any time you are working with 7-Benzyloxy-4-chloro-6-methoxyquinazoline, emergencies may occur at any time. These emergencies may expose your body to the hazards associated with the compound. Administering first aid will help to prevent adverse reactions in your body. Here are some of the first aid measures that you should always consider under different occasions. It is not advisable to instigate vomiting. Move the victim outdoors or a well-ventilated area. Make sure that the victim can relax and breathe without any barriers. Seek medic’s advice if irritation prolongs. Clear the particles from the site of contact. Use the copious amount of cold, clean water to wash the contacted part of the body thoroughly. If corrosion persists, seek help from a medic. Seek medic’s assistance in case of persistent irritations. When working with7-Benzyloxy-4-chloro-6-methoxyquinazoline, consider the following precautions. Read the instruction comprehensively before you start working with the product. Ensure proper ventilation of the working area. Avoid inhalation of the dust. Do not let the chemical get into contact with your body or eyes. Use a place with proper ventilation or outdoors. Do not discharge the chemical into drains or rivers. Avoid working with the substance in squeezed areas. Do not mix the chemical with combustibles. Avoid subjecting the chemical to friction or grinding. Do not deal with the substance while pregnant or nursing. Avoid smoking, drinking or eating while dealing with the chemical. Clean your face and the hands thoroughly with cold water and soap. Take out contaminated clothes and do not take them out of working place or reuse them before cleaning. Cautiously remove the gloves avoiding touching the contaminated areas. Dispose of the gloves as required by the federal or local laws. Store the remaining substance in a storage bottle and tightly close it. Clear the working bench and clean it. Collect the waste and pack well in closed disposal containers. Use a well-labeledoriginal container to store the chemical. Cork the storage bottle tightly. Ensure proper ventilation of the storage area. Do not keep under sunlight or hot surfaces. The temperature should not exceed 50 °C/ 122 °F. Do not expose the chemical to water or moist places. Keep away from children and unauthorized persons. Put off the fire with appropriate fire extinguishing media. These include dry chemical powder,carbon dioxide or foam. Fight the fire wearing protective clothing. This is to avoid getting into contact with eyes and skin. Fight the fire from a safe distance. In case of major fires or explosions, do not fight the fire. Evacuate the site. Some of the harmful fumes resulting from 7-Benzyloxy-4-chloro-6-methoxyquinazoline combustion are hydrogen chloride (HCl), carbon (ii) oxide, carbon monoxide and hydrogen oxides (HOx). In case of accidental spillages, collect the waste and pack in labeled disposal containers. Dispose of the waste according to the dictates of the local and federal waste disposal regulations. Under normal conditions, there are no dangers associated with transportation of 7-Benzyloxy-4-chloro-6-methoxyquinazoline. 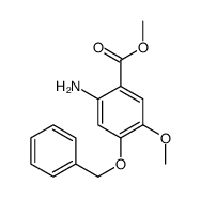 7-Benzyloxy-4-chloro-6-methoxyquinazoline is stable under the normal condition. The compound reacts with strong acids and oxidizing agents. Also, avoid heating the chemical. Package the waste in an appropriate waste container and submit to a licensed disposal company. Follow the regulations put in place by the state or the federal laws. The prime purpose for 7-Benzyloxy-4-chloro-6-methoxyquinazolineis to be used in research and development. Those involved in handling it must, therefore, bewell-trained persons with experience in laboratory practices. Qualified supervisors should be available to oversee the usage of the chemical. The product ought to be handled with respect and care under the appropriate conditions. The product is not for human consumption. We believe that the information provided in this document is correct to the best of our knowledge. It is therefore useful as a guide in combination with other sources of information. To ensure that we offer you the quality and reliable services, our team of experts is committed to research and development in fields such as chemical science, chromatography, life science, analytical science among others. 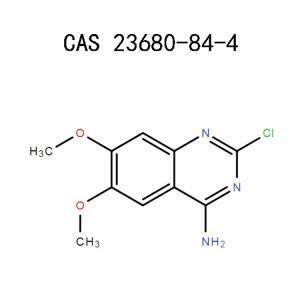 If you are looking for a place to order large quantities of 7-Benzyloxy-4-chloro-6-methoxyquinazoline, our friendly customer care is ever ready to hear from you. You can contact our customer care service and make your bulk orders for your product synthesis, development or research. 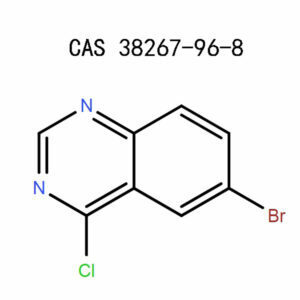 Marcel Lindemann Sonja, HinzWinnie, Deuther-Conrad, Barbara Wenzel, Radio synthesis and in vivo evaluation of a fluorine-18 labeled pyrazine based radio ligand for PET imaging of the adenosine A 2B receptor, page 2-5. Pitt, M. J. In Bretherick’s Handbook of Reactive Chemical Hazards 6thed; Urben, P. G. Ed; Butterworth-Heinemann Ltd: Oxford, 1999; Vol.2, pp301-310.